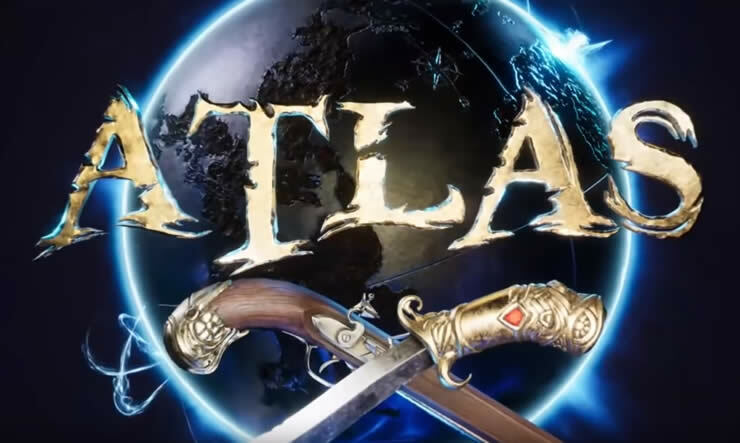 The developers responsible for the game Atlas have released a new update. Update version 10.0 can now be downloaded on the PC. We have the full patch notes for this update. 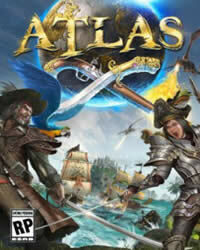 The update seems to be delayed, but the Atlas Patch Notes 10.0 is still available. Claim Flags now allow a “Neutral Zone” setting which allows any other companies to build within them, with the specified tax rate applied to them. You are also able to specify an inclusion or exclusion list to these, to only allow or exclude specific company ID’s / player ID’s. All claim flags will have this enabled as a default setting when placed, and this will also be a retroactive change. However, it will not function until Thursday, the 9th of January, where we will release another server update to make Neutral Zones active. This means you will have two days, from Tuesday to Thursday, to decide and adjust the settings on your claim flag before the change is live. Lawless servers can no longer be specified as Homesevers. If your Homeserver was a lawless server, you’ll be required to pick a new (Freeport) Homeserver upon respawn. This does not mean that land will be claimable on these servers, just that they cannot be selected as a server to respawn on. Farming rebalances to be easier; water can now pipe uphill, region requirements for growing crops are more forgiving, and crop growth & yield is much faster and higher. Crops now take much longer to spoil when placed in a preserving bag. 50 more player levels added, and Skill Points per level increased. Players will receive a forced respec with this update. Pipes can now move water upwards and the vertical limit on underground junctions has been eliminated. Also, pipes can go farther without foundation requirement, and underground junctions can now be snapped onto existing pipes. Fixed a bug which prevented admins from accessing remote inventories with the F key when changing group ranks. Killing the Monsterous Sperm Whale or Blue Whales (as they’re now named) provides (one-time) 50 Discovery Points each to everyone within 100k units of that event. Penguin AoE insulation now scales by level, the higher the level, the more insulation. Updated Mounted and Rider buffs to display icon while active, to better inform players the source of stat boosts. Dolphins now periodically leap out of the water. If you’re nearby to witness that at close-range, you’ll gain a temporary Intelligence buff! Updated creature specific buffs and ability value clamps to be scaled across 130 levels, due to recent extra 30 level ups for tames. Increased Wolf attack destination offset and increased some physics bounds to reduce clipping into players. Temporarily increased Wolf saddle scale in the engine to limit fur clipping. Updated taming ineffectiveness values to allow the highest efficiency to only be achieved with Taming Proficiency skill 3. Adjusted Seagull and Crow aggro speeds (Would previously take a long time to de-aggro). Updated collision to allow player attacks to land more consistently. Reduced Bee movement to allow player attacks to land. Reduced sting buff duration to better reflect its size. Increased harvest amount of fur and milk from Sheep and Cow to incentivise taming and better compete with natural resource gathering amounts. Updated max yield timings to scale with creature level, similar to other creature abilities, instead of food value. Added durability decreased to the bucket when milking. Clamped amount of fur gained from harvesting wild sheep, again to incentivise taming. Wild sheep will also flee and may attack players after excessive shearing. Creature health regen rebalanced so that they’re not regenerating health to full whilst in combat, also they can no longer regen health when force fed or from consuming corpses. With the exception of wild carnivores, which still can consume corpses to heal at a significantly reduced rate. Baby breeding balance changes to compensate for the overall creature regen changes. Wild Scorpions will no longer target large creatures, will no longer be aggressive towards Elephants, Giraffes, etc. Lion will only dismount players that are on medium and less sized creatures, will no longer dismount players from Elephants, Giraffes, etc. Updated taming foods to allow a variety of items to be used in taming creatures.